Milton advises and consults with Fortune 500 companies, executives, managers and sales professionals in the areas of Peak Performance, leadership, organizational behavior, psychology of achievement and sales. Milton conducts training sessions for distinguished audiences including Toyota, Ford, Remax, Coldwell Banker, Prudential, Century 21, Citibank, Marriott, American Express Financial, Bank of America. With a track record of success within 30 plus industries and with over $400 million of documented profit increases for his businesses clients worldwide. 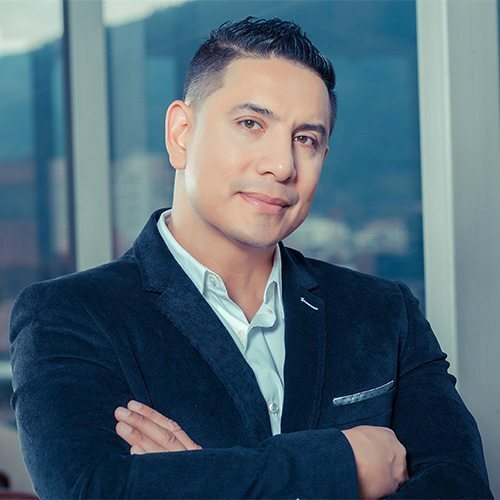 Milton Olave has become the strategist, sales and business growth expert, small, mid and large corporations turn to when seeking the next level. Milton was born in Colombia, and now calls Miami, Florida home.